Some adoptees grow up in families that never seem to fit right. There may be extraordinary love, but the differences are pronounced, physically and spiritually. In truth, I know biological children who feel the same way about their biological parents and siblings. I have a middle child who I watched drop out of me but who still makes me shake my head in wonder: “Where did you come from?” Some day he may look at me and ask the same question, but I am my son’s answer—and I can prove it. As a child, I wasn’t troubled by any obvious disconnect to my family, in part because a version of my self slept a few feet away from me for the first eighteen years of my life. Our personalities were not identical, but our spiritual connection was profound. So even though my sister is a braver, hipper, more rebellious variant of me, a breathless similarity to so much of our lives steadied me through all those years of not knowing where we came from. At times in my life I have felt lonely, but I have never been alone. I have always had my twin. My birth mother understood what it would mean for us to have each other. She said it helped her let us go. 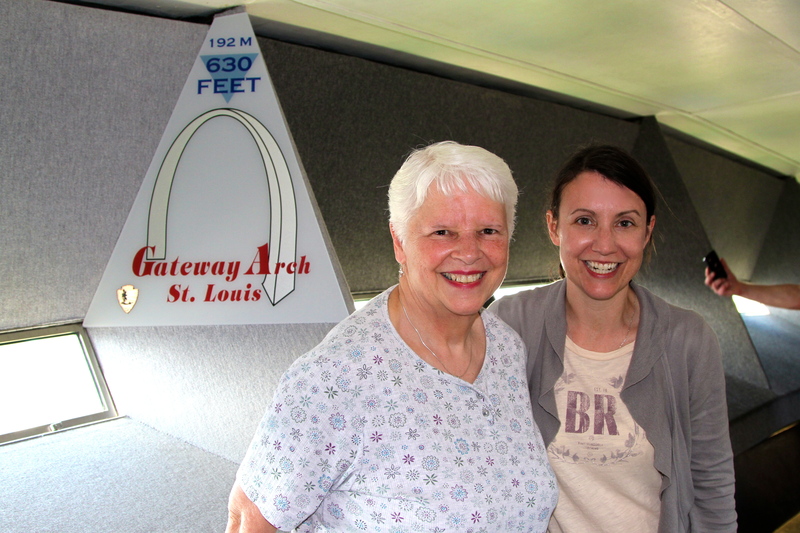 Last week my mother and I spent a couple of days together in St. Louis; I was there to attend a rhetoric conference, and St. Louis is one of her favorite cities, so she eagerly joined me. We hadn’t spent that much time alone together in a decade. With time to spare the day before the conference began, we decided to tour the Anheuser-Busch Brewery. At the end of the tour, we headed into the sampling room, and I stood in line to try a Shock Top Belgian White while my mom filled her cup with Diet Pepsi. My mother’s distaste for alcohol is notorious. She never touches “that stuff.” I made her try a sip of my beer, though, and she declared it “not as bad as I thought it would be.” Later, she talked me into riding a little white space pod to the top of the Gateway Arch. I’m terrified of heights; they’ve never bothered her. It wasn’t so bad, even as the wind rocked the floor under our feet. We peered through the rectangular eyes at the beautiful city spread below us. “There’s Busch Stadium!” she said, directing my gaze below. My mom is a staunch Cardinals fan; I root for the Cubs, for anything Chicago, because that is where I was first. In many ways, my mother and I are so different. We don’t eat the same food. We don’t enjoy the same music. We don’t share political beliefs. We worship the same God but in different denominations. People love my mother, love that she is friendly, down-to-earth, genuine, giving, faithful. I love her, too, for those reasons and many more. But there’s no doubt about it: We think, work, play, pray, cook, clean, and vote to the beat of our own, different drums. When I met my birth mother a few years ago, my husband told me, “Ah, now I understand where you came from!” At first, I bristled at his words, but I knew he was right. My birth mother and I share many personality traits, many hobbies, many passions. But we don’t share the first four decades of my life, and that is significant. My mother is my mother. While visiting my birth family last month, my birth father wondered aloud what the impact of our growing relationship might be on my mother. He worried she might feel threatened by it. “No,” I assured him. “She’s fine with all of this.” I could tell he didn’t believe me, not entirely. Surely, she must have some concerns, some fears, he offered. Only that you will inadvertently hurt me, I thought but didn’t say. My birth father is not only a birth parent but also a biological parent and an adoptive parent. He, my birth mother, they have lived all three roles. “No,” I said emphatically. “My mother doesn’t feel threatened.” No, I said, with conviction, because I just know, because she is my mother. Ask her. From the beginning, my mother has been a part of this journey. Four years ago, I requested her permission to search for my birth family, promising her I would not do so without her blessing. She didn’t hesitate for a second before giving it, and while I had asked, I knew all along what her answer would be. When, less than a year later, the confidential intermediary called to tell me that she had located my birth mother, I nearly rushed her off the phone. I wanted, needed, to call my mother. I have called her every step of the way. We’ve never stopped talking because if there’s one thing we share, it’s honesty. It’s important to my birth mother that I include my mother–one of the first things she asked the confidential intermediary was if my mother knew about my search and if she was okay with it. I suspect that if my mother hadn’t been okay, my birth mother wouldn’t have agreed to have contact. In order to protect my mother, she would have let me go. Earlier this year, I was in a dark place in this journey. I was miserable, hurting. One night I called my mother, sobbing. My tears startled her. She’s the crier, the one we kids nicknamed “Weeping Willow” for her propensity to break into tears in church. I rarely cry. But the pain was immense, and I could barely breathe. She talked me down. She swaddled me with her love and reassurances. 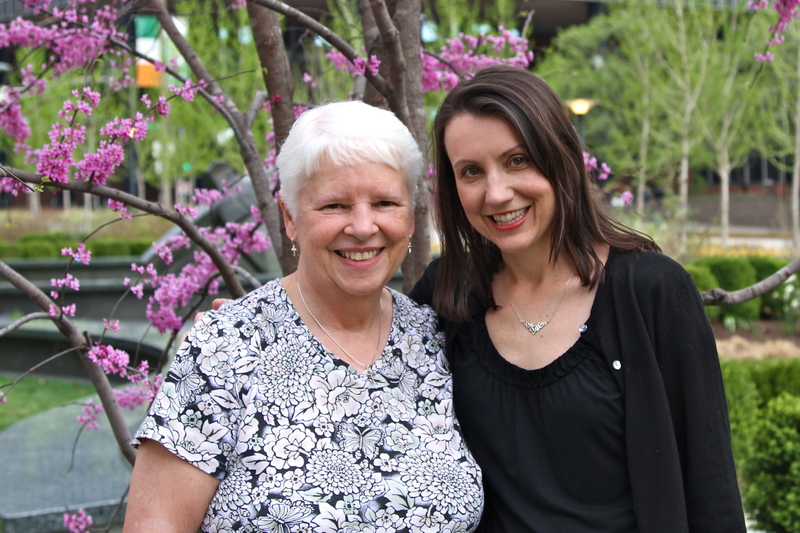 In the end, I knew it would be okay—because no matter what, I had my mother. When she dropped me off at the St. Louis airport last week, I thought about how, just a month earlier, my birth mother had ushered me off from another airport. I said good-bye to my birth mother with a tumult of emotions that is hard to describe. I know they both love me deeply, and to be so loved by two mothers is a gift that both moves and humbles me. But, it was much easier to leave my mother in St. Louis. I know she’s not going anywhere. I know that no matter what happens, my mother is not going anywhere. When I said good-bye to my mother in St. Louis, I wrapped myself in an embrace so familiar I can call it to mind now, the press of her arms against mine, the soft curve of her shoulders, the smell of her skin against my cheek. As we stood on the gray edge of the airport curb, I wrapped myself in her love, in the knowledge that this mother, no matter how different we may be, will never leave me. How wonderful that your mother has been so supportive! I am really pleased to hear that. I wish my own adoptive mother could have been- she is now after almost 12 years in reunion with my birth mother- she has realized that I am not going anywhere and I can love more then one mother. Just the other week I got two packages in the mail- one from each mother. It was an interesting coincidence! Jenny, your story makes me miss my mom so much. But it’s a good pain–a remembering pain. Thank you. No mother could ever seek a more lovely tribute or thank you than this one. It is amazing how your diffrerences have helped you build a strong relationship rather than pushing you apart. You have your mother’s strength!